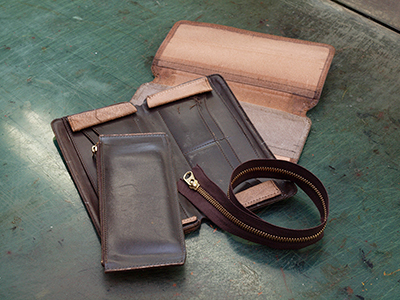 We are able to repair most kinds of damage that may occur to your Itagaki products excepting those caused by leather distress or wear. 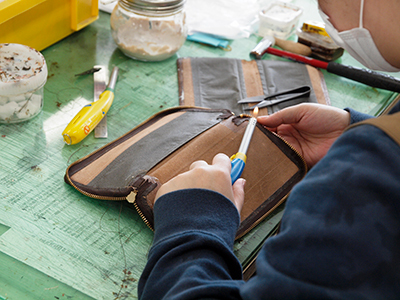 Itagaki's expert leather repair department will endeavor to rehabilitate your most cherished products. 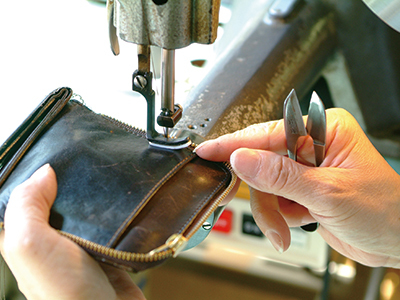 The combination of our years of experience, fine attention to detail and knowledge of leather will allow us to bring your beloved bags and wallets back to life. Once repaired and revived to its original luster, it will nevertheless retain that unique charm, those deep hues it has gained through your own personal touch. In that sense, it will remain distinctly different in appearance from a similar brand new item. ※Since, the cost of repairing the product is borne by the customer, it will be your choice whether to proceed with the rehabilitation of your product or to purchase a brand new one instead. Although we welcome repair requests in store or over the phone we will be able to provide a clear written diagnosis only once our craftsmen have had a chance to see the item first hand. 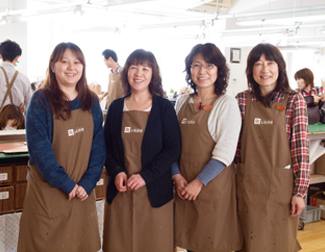 Customers can send their product for diagnosis to the Akabira Head office by mail (shipping fee paid by customer), in person at a store or at an Itagaki event. A diagnosis and estimate for the cost of repair will be provided to the customer with a week to 2 weeks of receiving the item at our head office. In addition to the cost, an estimate for the time required to complete the repair will be mailed to the customer. Confirm your application with Itagaki. In the case of withdrawal of the repair request, the item will be sent back to you via mail. A number of payment options including payment at the store and cash on delivery shipping are possible. You may select your payment option when confirming your application. After reviewing your product, we will provide you with a time and cost estimate for the repair. Repairs typically take about two months to complete following receipt of the product at our head office. Please note that the repair could take longer depending on the severity of damage.